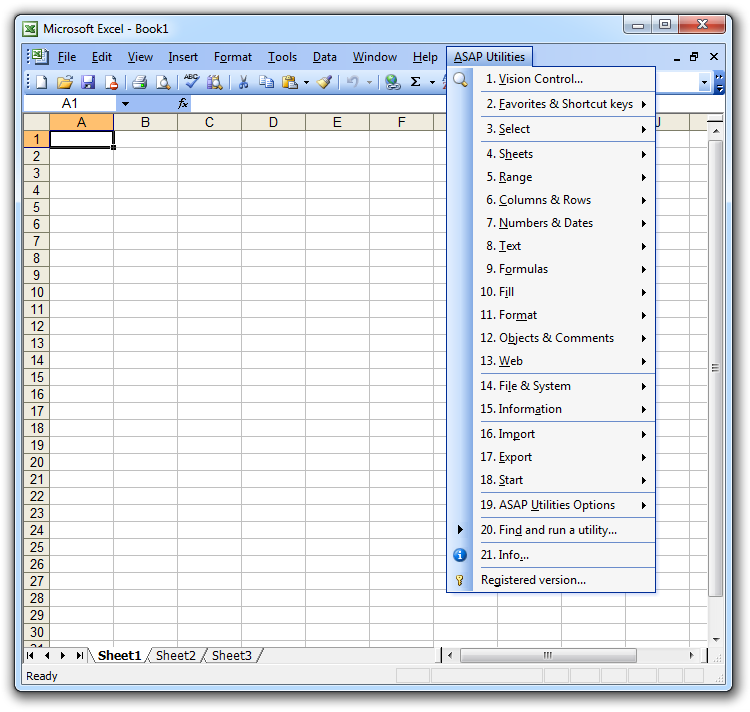 For users with Excel 2010, 2013, 2016, 2019 or 365 we have created this special version of the setup that standard/limited users can install. This single-user setup does not require administrator rights during the installation. Buy your license, it's only USD 49.00 for a single user license, or save up to 86% with our very attractive volume discounts. After you have received your license it is easy to turn your trial into the full unlimited version in a few seconds without the need to download or install again. The installation is easy and fast, but in case you need help, we've created a step-by-step tutorial. 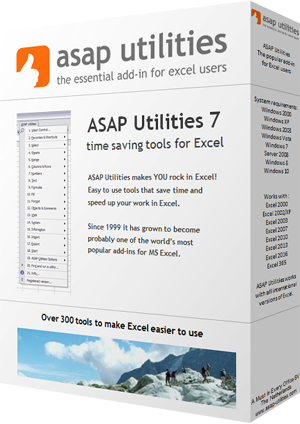 When the installation is finished and you start Excel, you will see an extra item in the Excel menu or ribbon called “ASAP Utilities”. We're quite popular so our download-server can be busy at some times.